When painful feet make it hard to get around, you need an experienced podiatrist like Roderick Hunter Jr., DPM, AACFAS, to restore your mobility. 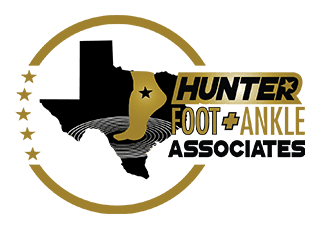 At his podiatry practice in Plano, Texas, Dr. Hunter and his compassionate staff offer advanced diagnostics to discover the cause of your foot pain and provide effective treatment options to address your specific needs and enhance your overall mobility. To learn more about available treatment options for foot pain, call Dr. Hunter’s office today or use the online booking feature. You may also be at increased risk for chronic foot pain if you’re overweight or have certain underlying medical conditions. When should I seek medical attention for foot pain? Additionally, if you have an underlying medical condition, like diabetes, you shouldn’t delay treatment for foot pain. How is foot pain diagnosed? Dr. Hunter discusses your symptoms and the activities you were doing when the pain began to pinpoint its potential cause. He also performs a comprehensive physical exam, feeling for areas of warmth, tenderness, or pain in different areas of your foot and ankle. If you have existing health conditions, Dr. Hunter may request additional testing, such as blood work for diabetics, to determine if underlying medical issues are causing your pain. In many cases, Dr. Hunter can confirm a diagnosis based on your medical history and current symptoms. 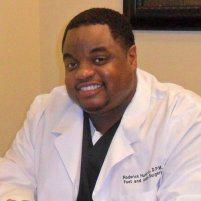 He then develops a customized treatment plan to alleviate pain and improve your mobility. What treatment options are available for foot pain? Treatment for acute pain resulting from injury may include plenty of rest and over-the-counter or prescription medications to ease the pain. Dr. Hunter also offers injections of corticosteroids for quick relief of inflammation. In many cases, physical therapy exercises can help strengthen muscles in your feet and ankle for better support. Dr. Hunter may also suggest heat and ice therapy after any activities, as well as the use of orthotic inserts in your footwear to prevent additional injuries. Dr. Hunter may recommend surgery to repair serious breaks or as a last resort when other therapies aren’t effective. Schedule a consultation with Dr. Hunter to learn more about treating acute and chronic foot pain using the online booking tool or by calling his Plano office directly today. Dr. Hunter offers a full array of podiatric services to help you maintain healthy feet. You can read more on this page about specific services.